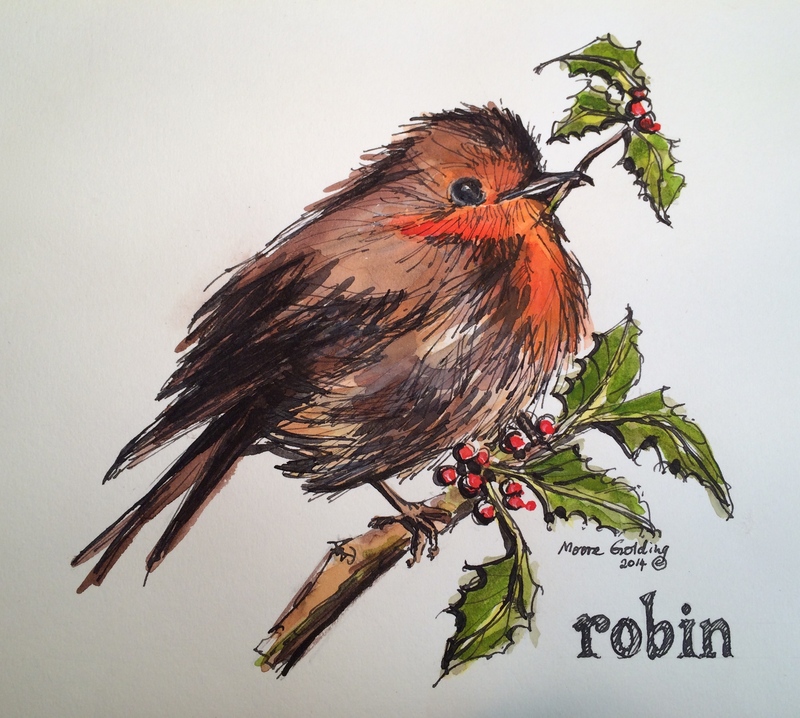 Pen and wash. One of six Xmas cards 2014 series. Go to http://www.redbubble.com/people/emgolding to order. wonderful drawing of such a sweet bird well done !